Inverness is a city on Scotland&apos;s northeast coast, where the River Ness meets the Moray Firth. It’s the largest city and the cultural capital of the Scottish Highlands. Its Old Town features 19th-century Inverness Cathedral, the mostly 18th-century Old High Church and an indoor Victorian Market selling food, clothing, and crafts. The contemporary Inverness Museum and Art Gallery traces local and Highland history. Inverness has a great location astride the River Ness at the northern end of the Great Glen. In summer it overflows with visitors&apos; intent on monster hunting at nearby Loch Ness, but it’s worth a visit in its own right for a stroll along the picturesque River Ness, a cruise on Loch Ness, and a meal in one of the city’s excellent restaurants. Inverness was probably founded by King David in the 12th century, but thanks to its often violent history, few buildings of real age or historical significance have survived – much of the older part of the city dates from the period following the completion of the Caledonian Canal in 1822. 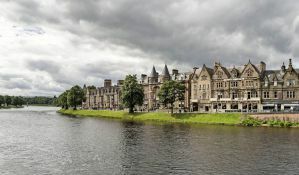 Inverness is a charming and enticing destination, and these hostels provide an excellent base for exploring the area. 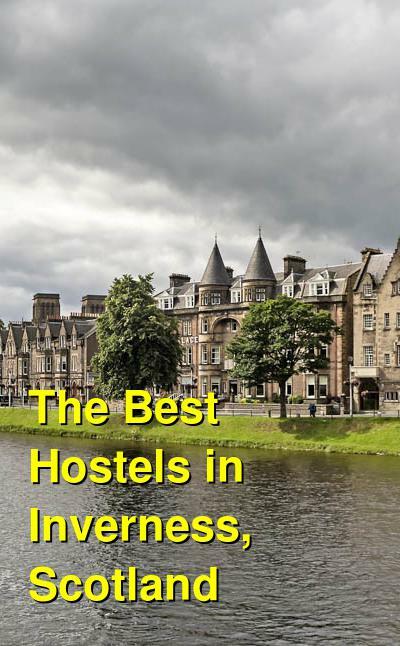 How much do hostels in Inverness cost? Located in front of Inverness Castle, Bazpackers is an old Victorian town house built in 1826 and converted in 1996 to form a modern hostel. It is the smallest hostel in Inverness and just 5 minutes from the city center, close to everything, but out of the city center noise. The facility provides budget, self-catering accommodations, private and shared room options available, a central location with great views, a small friendly hostel with a great staff, and a quiet, homely atmosphere. Free Wi-Fi and linens are included. The Inverness Student Hotel has a terrific outlook over the river and the city to the hills beyond. It’s a cute building with real character and a fun and relaxed atmosphere. The comfortable dormitory rooms have between 5 and 10 beds. Inverness is a small-sized city that has plenty going on in it, with live music most nights and lots of restaurants and pubs to pick and choose from. The facility has a spacious common room with a large open fireplace and big Victorian style windows that offer stunning views over the river ness. It is a great place to meet like minded travelers, whilst enjoying all the free tea, coffee, and hot chocolate you can drink. The Student Hotel staff are always very friendly and approachable. They can help you book your tours, recommend places to visit and most importantly, fill you in on the hidden gems of the city to ensure you a memorable time in Inverness. They can also arrange bike rental and will provide free maps to help you discover the magnificent beauty of Loch Ness. The property is also only 10 minutes&apos; walk from the Train and Bus Station and a quick 5 minutes&apos; walk into the town center. At the property you can enjoy, fantastic views, cozy atmosphere, free off street parking, self-catering kitchen , comfortable beds including free bed linen and 2 pillows, free Wi-Fi, and breakfast, towel hire, and laundry for a small fee. Inverness Tourist Hostel offers great value, location, and atmosphere in Inverness. They are very clean and offer free luggage storage after check-out, free Wi-Fi, and free overnight parking. The property is a modern, lively, fun-filled, hostel just yards from the main bus station in the center of town and five minutes&apos; walk from the train station. Inverness provides an excellent base to explore the highlands and islands of Scotland. The city has many attractions, including the museum and art gallery, Inverness Castle (with the castle garrison encounter exhibition) and of course the legendary Loch Ness monster around the corner. Inverness is also home to some of the best award-winning live music bars in Scotland as well as restaurants providing amazing food and value. There are also many tours offered by various companies that explore Inverness, Loch Ness, Glen Affric and many other places of interest. The facility has 4-, 6-, 8-, and 10-bed mixed dorm rooms, each with new, comfortable mattresses. They also have a fully equipped kitchen and free tea, coffee, milk, and sugar all day. The comfortable common room features a 42-inch plasma TV. Free Wi-Fi and linens are included and towels are available for hire. The Struy Guest House is a comfortable well located accommodation in Inverness. Its on the A82 en route to loch ness. There are 4 private rooms with 1- twin / family en suite, 1- standard twin room with shared bathroom facilities, 2- family rooms which have a double bed and a single bed with shared bathroom facilities. There are also 2 small 4 bed dorm type rooms with shared bathroom facilities for the budget traveler. There is also a private single room in a chalet building with its own toilet but shared shower facilities in the main building, as well as a super budget private caravan for 1 or 2 people with shared bathroom facilities in the main building. All main rooms have tea and coffee making facilities and a TV and wash hand basins except for one 4 bed dorm room. The house has central heating and is double glazed. Caravan and chalet are electric heating. There is private, secure off road parking available. There is free Wi-Fi throughout the property. Hair dryer and ironing facilities also available on request. The guest house is located around a 15 to 20 min walk from the city center and is near the aquadome and sports center. The famous Eden Court Theatre and the northern meeting park where music concerts are held are only a 5 to 10 min walk away. There is also the bught leisure park and the beautiful caledonian canal nearby. There is a communal dinning / lounge room which has a microwave and fridge freezer for food preparation. Prices do not include breakfast but it is available at a small extra cost. Towels are also available at an extra charge.